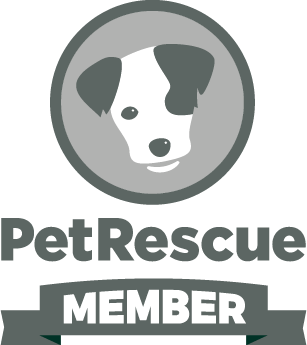 We are a small group who voluntarily assess and rescue cats and dogs from local pounds. We have all animals vet checked and have all vet work completed before they are adopted in to new loving families. Please email for adoption application - please complete and return. You may be put in contact with foster carer to gather info about the pet you are interested in. We will be in touch to organise a meet and greet and potential adoption if your application is successful. Sooo folks, Tonto is still seeking is furrever home. He is an amazing dog that is so full of love, and would be a great companion and friend, whether you be solo or a family. Tonto looks to you to be his leader and is loyal to a tee. Tonto or Tonts as we affectionately call him is such a loyal dog that he will be your friend forever - just his adoring look to you when out and about is heart warming. Tonto loves to wander free or can walk on a leash. He loves his foster carers unconditionally and has excellent recall when he is off leash. He is currently located in a rural location and shares his time with another male dog and a goat named 'Cecil'. Cecil can be a bit of a bully but Tonto has it all under control! Tonto is not prey driven and when out walking will ignore the wildlife around him. Tonto is a great guy and has all the idiosyncrasy's of any doggie and you could not find a more loyal dog, call him and tell him to 'jump' and he is on the back of that ute in a flash. 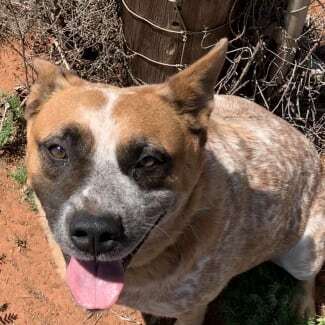 Being a red heeler, he will need a new owner that is familiar with his breed as a cattle dog. Great at commands and is well behaved (hmm well most of the time - unless you are too slow throwing his fav toy ... you might just get a 'hurry up') :) If you would like more information - please contact Karen.